It probably won't come as a surprise to you, considering the sales success of the title, but Grand Theft Auto V is the best-selling video game of 2013. Take-Two Interactive, the parent company of GTA developer Rockstar Games, revealed this piece of information (with help from NPD) in their latest financial earnings report, while also boasting that they sold more than 32.5 million GTA V copies to date. The extremely popular video game raked in $800 million in sales on its first day, going on to post $1 billion in sales in under three days. 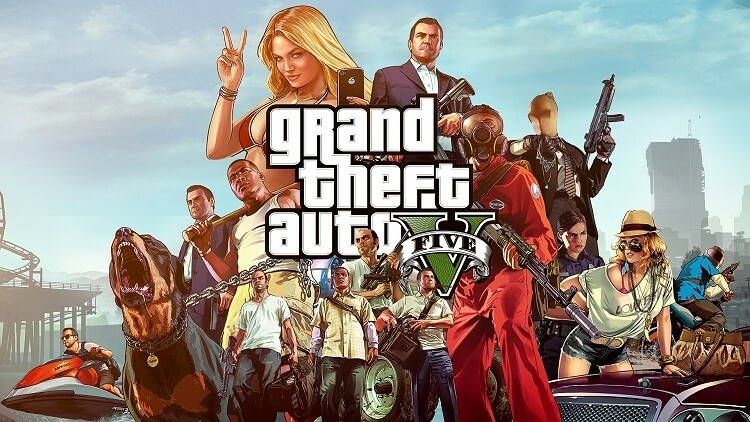 Both achievements helped Grand Theft Auto V and Rockstar Games pick up seven Guinness World Records, including 'best selling video game in 24 hours', and 'fastest entertainment property to gross $1 billion'. Currently Grand Theft Auto V is only available on Xbox 360 and PlayStation 3, however it seems a PC version is coming shortly as evidence mounts around the internet. Whether or not the game will be ported to 'next-gen' consoles, though, is a little more unclear, but Rockstar could stand to sell even more were an Xbox One/PS4 edition launched. With GTA V taking out the best-selling video game of 2013, what game will take the runner up spot? It'll likely go to Activision's Call of Duty: Ghosts, as the tenth installment of the ever-popular series was the best-selling next-gen console game, and without the release of GTA V, would almost certainly have taken top spot on the sales chart.